From as early as first grade, I remember being in love. I would daydream about my first crush, looking out of the classroom window at the freshly mowed soccer fields, not listening to a word my teacher said. I was more concerned with daydreams of the two of us holding hands, or of having her join me on the swings. Since that girl, I’ve fallen in love three times. Through each iteration, love clutched my entire being; it took over my faculties, becoming as important to my life as oxygen or water. Amour fou. Every time it came to an end, I was devastated, like a shoreline after a hurricane. Love left me battered, with a wreckage that took months and sometimes years, to clean up. All the while, I was struggling to understand the origins of my unwavering, seemingly hopeless romanticism. It wasn’t until about two years into my last relationship, when I moved in to my grandmother’s home with my then-fiancé Michelle, that I would discover its source. We made the move to help my family take care of my grandmother. We cooked for her, did her laundry, and kept her company. Mama was in her early 90s and in great physical health, but her mind was starting to go. Throughout the time we lived there we enjoyed almost daily visits from an array of family members and friends, all of them coming to see Mama. We would all sit around the big oak coffee table at the center of her living room and exchange stories. Several times I brought up the story of how my grandparents met, each time hoping to uncover some previously undiscovered detail. Even though I had heard this story told to death, I hadn’t realized until then how much it had underlaid my own sense of romance and relationships. It was my foundation, my roadmap, my guidebook to love. The story began in the summer of 1953 in Puerto Tarafa, a small town on the southwestern coast of Cuba. Located on a small peninsula within la Bahía de Nuevitas and flanked by several beautiful beaches, Puerto Tarafa was a vacation hotspot for locals and sailors alike. It was also a major hub for the Ferrocarril de Cuba, the country’s national railroad. In those days, there would have been a steady stream of foreign vessels flowing through its waterways, since it was the country’s second-busiest port and was considered by many to be at the center of the international sugar trade. My grandmother’s name was Emma Masvidal. She and her family would spend every summer in a house her father rented near Playa San Jacinto. They would spend their days going to the beach as a family, and every so often, they would stop at Minina’s, a small cafeteria for cafe con leche. 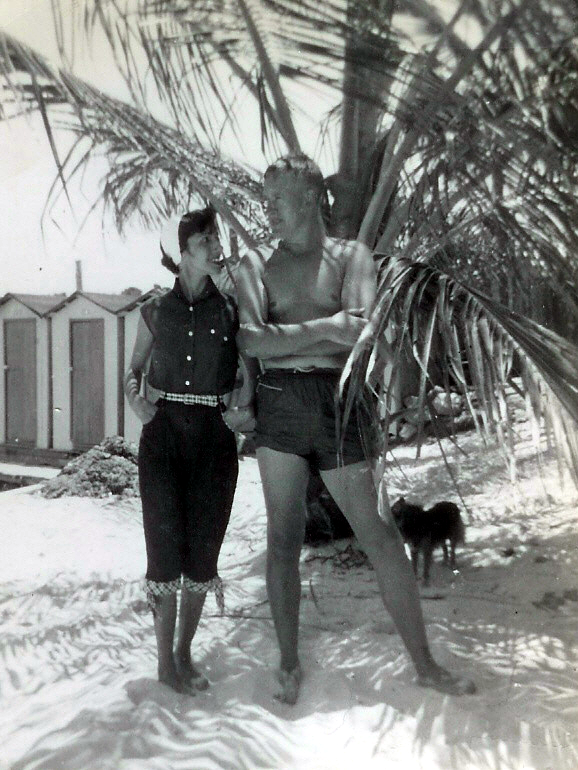 One summer afternoon at Playa San Jacinto, my grandmother and her family encountered a broad-shouldered, sort of handsome, nordic man named Torkild, enjoying the peaceful beach by himself. Between the fleeting memories of my grandmother and her cousin Cuca, the one detail from that day about which they both seem to agree is that Emma’s mother, Doña Sola, found Torkild to be dashing, so she invited him for dinner. Sola was almost certainly thinking about Emma’s love life when she invited him. After all, Emma was her only daughter, and at 29, Emma had no plans of marrying anytime soon. This preoccupied Sola, taboo as it was for a woman her daughter’s age to stay unmarried in 1950s Cuba, but Emma didn’t care. She was an explorer, more concerned with traveling, meeting new people, seeking fresh experiences. Before Torkild left that evening to return to the ship, Emma told him that she would be in Puerto Tarafa for the rest of the summer. Torkild promised that he would return once more before Emma left with her family for their home in Jicotea, Cuba. Later, when he came back, they spent his entire shore leave together at the beach, talking and learning all they could about one another in the short time they had together. Before he departed once again, they exchanged contact information. They had planned on keeping in touch until the next time he could make it back to Cuba. Torkild left, the summer came to a close, the Masvidals returned to their home in Jicotea, and Emma got ready to return to her job teaching needlework to young girls at a local elementary school. 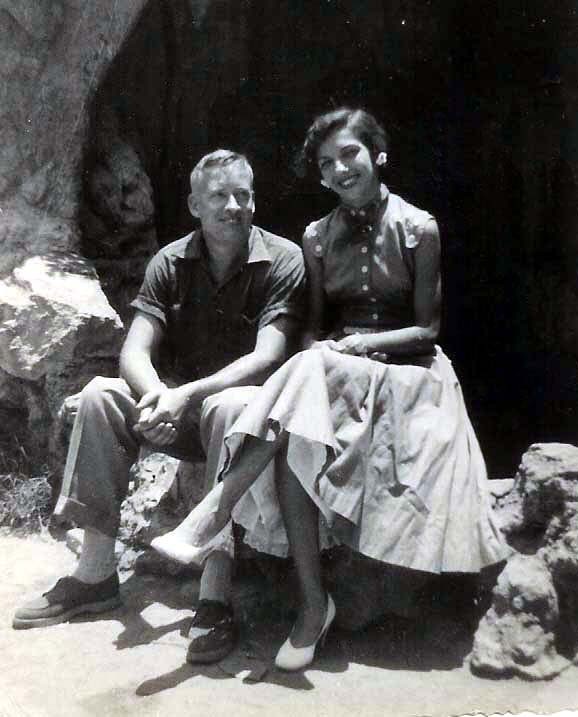 About a year later, Emma and Cuca departed Cuba for a vacation in the United States. Their first stop was Miami, Florida. Not quite having earned its nickname of ¨Magic City¨ yet, they weren’t too impressed, and decided to make their way to New York City, a place neither had been, and where they were invited to stay with their cousin Sylvia. Almost immediately, Emma and Cuca fell in love with the city and decided that they wanted to stay. Not long after, they both found work as seamstresses in Bay Ridge and began renting a small apartment nearby on Ovington Avenue. Since parting ways the summer before, Emma had not heard from Torkild. She did her best not to think about him. After all, she was young, single, and in the biggest city in the world. It wasn’t like she could easily contact him, either; if she had sent a letter to his address in Norway, there would have been no guarantee he would even get it. Emma had no idea where Torkild was. After all, he was a Merchant Marine, sailing the world in an age long before smartphones and social networks existed. There was no logging into a Starbucks’s WiFi to send a quick iMessage, no way to advertise one’s a precise location by checking in on Facebook. Distance was so much more distant.But later that year, as her first winter holiday season in New York drew near, Emma received a Christmas card from Torkild. He had sent it to the Masvidal residence in Jicotea, not knowing that Emma and her cousin had moved to Brooklyn, and the family had forwarded it to its rightful addressee. After the initial shock of receiving the letter wore off, Emma noticed Torkild’s return address; it was less than a block away from where she and Cuca were living. They were astonished. There was no way it could be true. How could it be that two people from opposite ends of the world who had only spent a handful of days together and who had not spoken in over a year could move in less than a block away from each other in a city of almost 8 million people? The seeming impossibility was staggering. After extensive consideration, Emma and Cuca decided that the only thing to do was to walk over and see if he really was there, though it would be another week before Emma finally got up the nerve to follow through with her decision. One evening around dinner time, she and Cuca walked over to the building that matched the address on the postcard. They nervously marched up the steps and knocked on the door. A few tense moments passed before the door swung open. And there, standing in the doorway, was her stoic Scandinavian man. For a moment, they stood there speechlessly staring at one another before Torkild broke the silence, inviting Emma and her cousin in for a bite to eat. And they lived happily ever after. The end. I really wish that this was the end of the story, but this was real life and they were real people, with flaws just like the rest of us. For so long I imagined my grandparents’ story as being something out of a novela rosa, in which two people fall in love, get married, and live happily ever after. And, in my youthful ignorance, I never thought to look deeper, to push my relatives to tell me more. The story reflected what I wanted out of romance; it spoke to me, giving me a world into which I could escape, one that was the complete opposite of the relationships that I had witnessed since my parents divorced — my mom with her string of loser boyfriends, my gay father with a boyfriend of his own. That storied day was followed by a decade’s worth of happy yet somewhat predictable events. They dated for a while, got married, and had four beautiful daughters, of whom my mother was the youngest. As the family grew, my grandfather wanted to get away from the hustle of the city. Torkild set his sights on a small hamlet called Lake Hill, located on the outskirts of Woodstock, NY. The town had not yet lent its name to the legendary 1969 Festival. It was still just a sleepy little artists’ community, tucked into the rolling foothills of the Catskill Mountains. A friend of Torkild’s put him in contact with someone selling a beautiful Victorian house that was set atop a grassy knoll surrounded by lush green forest and located a few miles from the center of town. The home also came with a business, an old folks’ home. It was the perfect setting in which to raise a family; plenty of land, quiet, and with a built-in source of income. Not long after looking at the home, Torkild decided to buy. Having blindsided Emma and the girls, he told them he had bought a house, and they were all moving. The oldest of the four daughters, Sigrun, was around seven, and my mother, the youngest, was around two. Despite having been forcibly uprooted from the big city and relocated to a town of a few hundred people, things were pretty good for the first few years. Torkild had taken a position working on a tugboat and was on a rotating schedule of two weeks on, one week off. Emma had taken charge of the old folks’ home business, employing all four daughters as her helpers. Torkild’s decision to buy a house was the next step in the progression of what had until then been subtle attempts at asserting control over the family. It stretched back all the way to the moment the girls were born, as he insisted on giving them all Norwegian names — Sigrun, Jorid, Ingrid, and Dagny — which seemed benign enough. But he’d also forbade my grandmother from speaking to the girls in Spanish while he was home, saying it made him feel left out. And as the girls got older and started developing an interest in boys, Torkild’s need to be the center of family attention began to fall out of his control. In direct correlation with the girls’ assertions of their own independence, his once-insidious flaws began to manifest themselves more frequently and in a more controlling, manipulative way. When he didn’t get what he wanted, he turned the household into a toxic living environment, pushing his girls farther and farther away from him. Emma did everything in her power to appease him while still playing peacemaker, but her husband accused her of being the cause of the problem, claiming she had tried to turn the girls against him. In reality, this was far from the truth of the matter: According to all four of Mama’s daughters, as well as several others close to the family, Torkild was the catalyst of the dysfunction, while Emma had been the one working tirelessly and fruitlessly to keep everyone around her together and happy. It wasn’t until I began digging deeper into my grandparents’ story that I realized the true dynamic between Mama and my grandfather. As their dysfunction became clearer to me, I started connecting the dots between their story and my own. I began to realize that my fatal flaw in each of my relationships was very similar to my grandmother’s. We both stopped at nothing to please our partners while simultaneously turning a blind eye to our own needs. I had believed so much in a fairytale type of love that it blinded me from the reality of my situations. I had completely ignored warning signs, forgiven untrustworthy behavior, and let myself be manipulated. All along, I was stuck in a blind stupor, repeating the same mistakes in relationship after relationship, all in the name of love. I know it’s a bit strange to think like this, but in a way, I’m happy that all of my serious attempts at love crashed and burned. My failures provided me the perfect backdrop against which to revisit my grandparents’ story, allowing me to see that my conception of love and romance was predicated on a half-truth. From this point forward, I can only hope that I have finally learned my lesson, that my days of diving head-first off the deep end while wearing rose-colored glasses are over. I’m beginning to realize that love is something that shouldn’t be rushed; it should be approached with a sense of cautious pragmatism in place of misguided idealism. The next time cupid’s arrow strikes, I’ll take a step back and take things slow. Special thanks to Kevin and his family for sharing these photos with us.